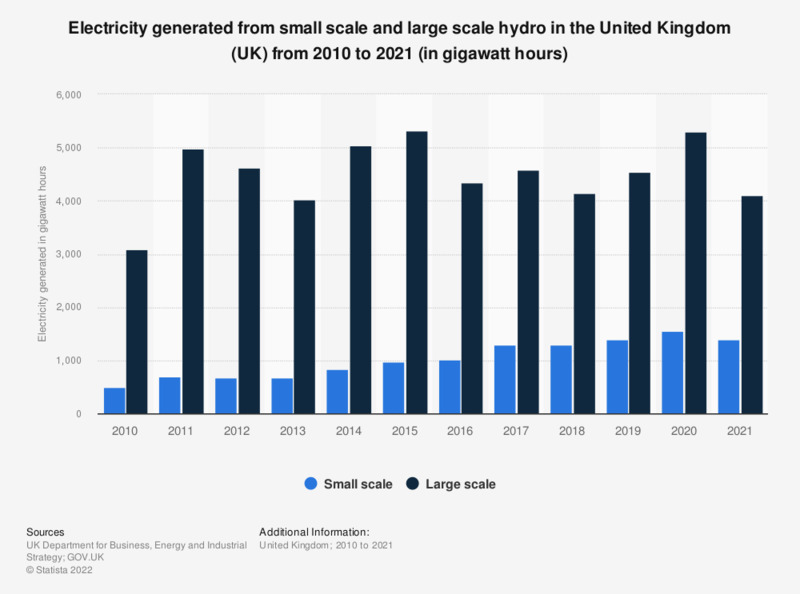 This statistic shows the amount of electricity generated from small scale and large scale hydro in the United Kingdom (UK) from 2010 to 2017, in gigawatt hours. It shows that small scale and large scale hydro both increased electricity generation over this period significantly. Large scale hydro had a notable spike of electricity generation in 2011 to 4,989 gigawatt hours. The source notes that numbers for small scale hydro are actual generation figures where available, but otherwise are estimated using a typical load factor or the design load factor, where known. Large scale hydro excludes pumped storage.